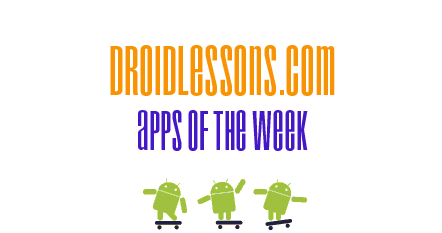 Welcome to the first edition of DroidLessons.com’s “Android Apps of the Week!”. The plan is to compile a list of my favorite apps and share them with you on the Sunday of every week. It will give you plenty of time to try out the apps and then also something to look forward to on a weekly basis. 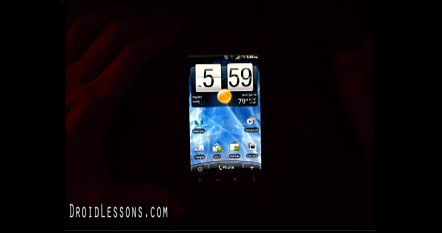 This is something that I’ve also done when teaching an Android class to Adult learners and they found it to be one of the best parts of my class. It’s always fun to learn about the latest and greatest apps out there. The Android market has over 100,000 apps and therefore it’s not always easy finding quality apps via the Android Market. My hope is to save you some time by sharing and informing you of the quality apps that I have found over the many months of using and teaching on the Android platform. So, without further ado, I present to you this weeks edition of “Android Apps of the Week!”. Tired of listening to the radio? Want to listen to some quality FREE music on your Android phone? Then Pandora is the way to go. Pandora is a free Internet Radio station that works via an Android app that you can download from the Android Market. Just go to your “Market” icon on your phone and click the search button and type in “Pandora”. Install the app and then sign up for a free account. After you sign in with your free account, you can create radio stations by either Genre, Artist, or Song title. It’s a really great service that I think you’ll love. I use it all the time… on the drive to work and while working out. Nothing beats Free Radio without all the annoying commercials. Oh, and some advice… if you ever get a song on your Radio station that you really like or don’t like then make sure to click the thumbs up or down button. Pandora will start learning what type of music you like and/or dislike. Pretty neat, huh? Shazam is by far one of my favorite apps. Have you ever been in your car listening to the radio and wanted to know who was singing the song? Lord knows the DJ’s never tell you. Annoying, right? Enter SHAZAM! 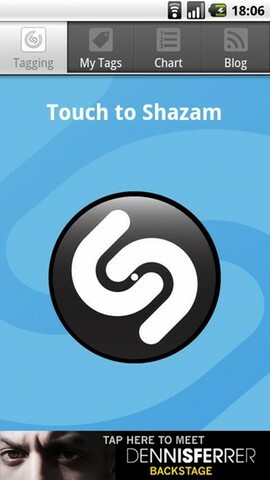 After installing Shazam from the Android Market, you simply click your Shazam icon and then click on the TAG NOW button. Shazam will magically (get it?) listen to the song and then give you the Artist name and Song title. If you’ve never seen it in action… it is amazing and works really well. I’ve even used it in restaurants to identify what was playing on their speakers. Impress your friends with it the next time you are out! One of my favorite Wallpapers is the Aquarium Live Wallpaper. This one really turns heads when people see it for the first time. 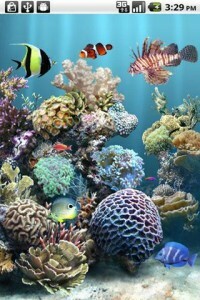 It will actually make it look like you have an Aquarium full of fishes swimming around in your Android phone. Words don’t do this app any justice. Just take my word for it… download and install it as soon as you get the chance. You will love it! 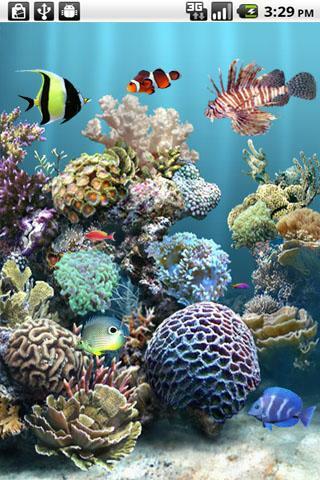 Search for “Aquarium Live Wallpaper” on the Android Market. Did I mention it is completely FREE?! Now you have no excuses! I can’t imagine my life without the Astrid Task Manager app. Its really helpful. I will try Shazam now, its seems very interesting. Thanks for sharing.